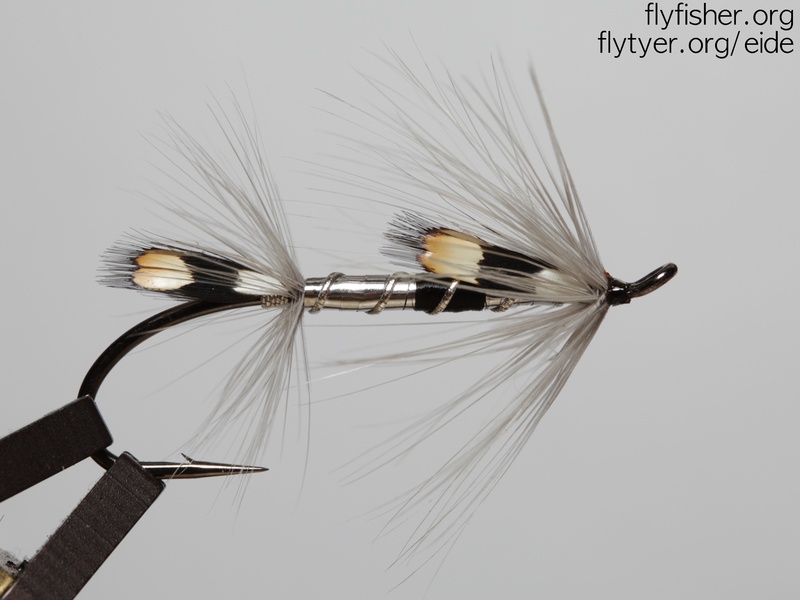 Continuing my research on the grub patterns I came across a low-water Mar Lodge Grub version on a picture over at feathersfliesandphantoms.co.uk that had a interesting look: the minimalist flow, the grey hackle that will flow over the silver body and the JC that pops out. Would like to see this with the orange-colored JC that I have, but I’ll leave that for another time. The pattern should work for sea-trout as well, so I might tie up a version on a saltwater hook later on. 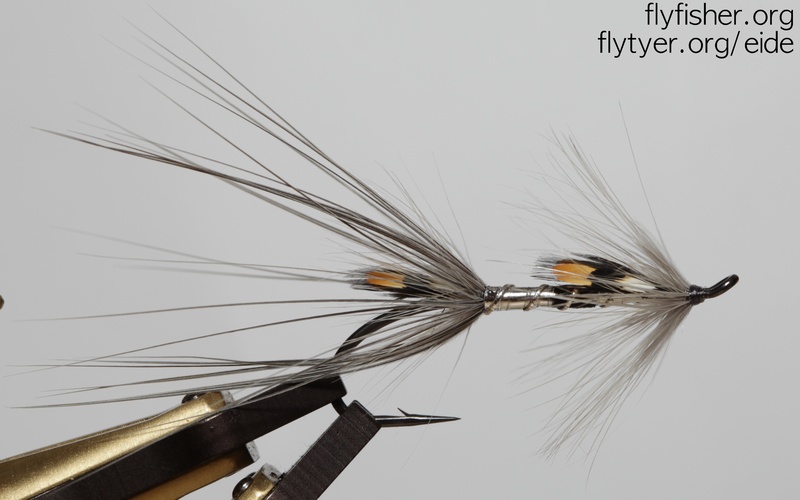 A friend of mine had a good input for this pattern: put a heron hackle over the rear hackle. I tied it in sparsely to follow the general feel of the pattern, this is one to bring for the sea-trout and salmon on those late summer days.